Kitchens are considered to be a vital aspect of every home; therefore, ensuring that they are decorated correctly is essential. You want this room to be bright, inviting and practical for everyone to use and enjoy. There is a huge array of choice when it comes to decoration; however, food is a fantastic alternative, which can pretty up your kitchen. The decorations that you choose need to enhance the kitchen, and ensure that this area of your home is welcoming. Regardless of the size or style of the kitchen, there are several things that you can do, to enhance the area. As food is such a huge aspect of the kitchen, why not use it to decorate as well as prepare, cook and enjoy. There are several different foods, which are ideal for decorating purposes, and once you begin to explore your creative side, you will be surprised what you can use in the kitchen. Putting your foods on display may seem strange; however, there are foods which are exciting, vibrant and will create the ultimate design feature. You may find that having the food items on display will not only look incredible, but also inspire you to cook more and enjoy food. There are some excellent choices available, and you should let your imagination run wild. 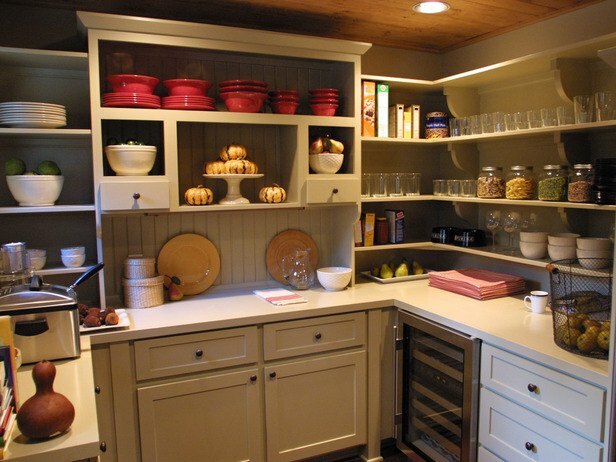 You can choose to display as little or as much as you want, and remember it is your kitchen to decorate. Beans and grains have always been a popular choice, and there are several different varieties to choose. Storing the grains and beans that you cook with in clear decorative jars will ensure that they create the ultimate talking point in your kitchen. The items will need to be used regularly; however, whilst they are on display, they will look incredible. Vegetables and fruits are available in a huge array of different shapes and colours which make them ideal when searching for the best decoration for your kitchen. Choosing a variety of different, seasonal vegetables you can display them easily on the counter in a basket or bowl. You can easily use them every time you cook, and replace with another item. Preserved items can be placed on display for some time, and always look incredibly pretty in style, quaint jars. Whether, you choose homemade pickles, jams, herbs, or fruit the colours will be amazing and stand out in every kitchen. These decorations will last longer than others; however, they do still need to be used within the use by date. Oils and vinegars are often available in fancy bottles and containers, which will make your counter top look stylish and productive. You can top these up from larger containers, ensuring that the bottle remains full and pretty at all times. When the bottles begin to look tired and dated, they can easily be replaced with new ones. This post was contributed by Kit Stone; where hand-made kitchens, stunning interiors and quality garden furniture come with a refreshingly affordable price tag! I love the look of pasta/grains in a bottle. However we don't have space for such displays in our house. I love the look of food displayed in the kitchen. Makes it feel more lived in and inviting! 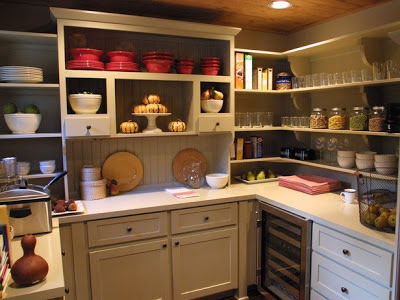 Love all of the things in the kitchen, I would love to have mine look like that! I can hardly wait to move and create my dream kitchen. I love the looks of oils in containers. Thanks for the inspiration!